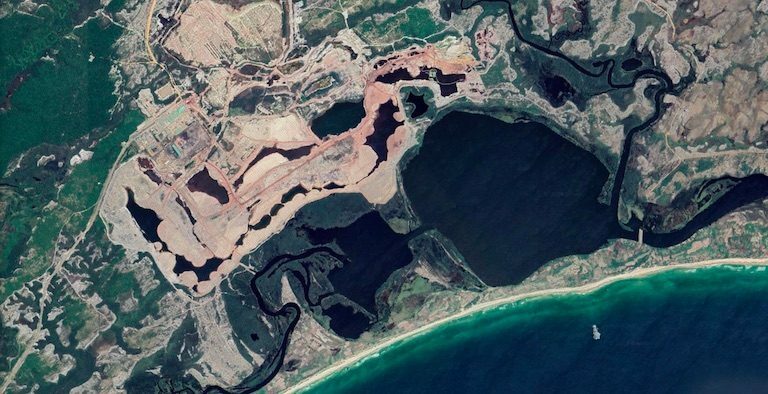 A large mineral sands mine in southeastern Madagascar has trespassed into a “sensitive zone,” violating national law and raising the possibility that radionuclide-enriched tailings could enter a lake that local people use for drinking water. Map shows the location of Rio Tinto’s QIT Madagascar Minerals mine. Image courtesy of Google Earth. Rio Tinto’s QIT Madagascar Minerals site in 2009 (top) and 2016 (above). 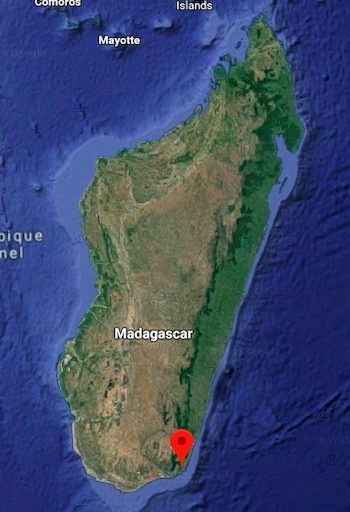 Madagascar law requires an 80-meter (262-foot) buffer zone between mining activity and any sensitive area, including marshy areas, wetlands, lakes and lagoons. 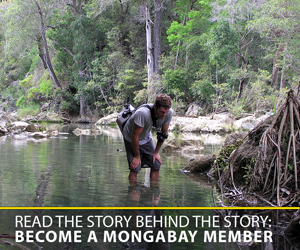 In 2014, Rio Tinto received a permit to reduce this to 50 meters in certain areas. 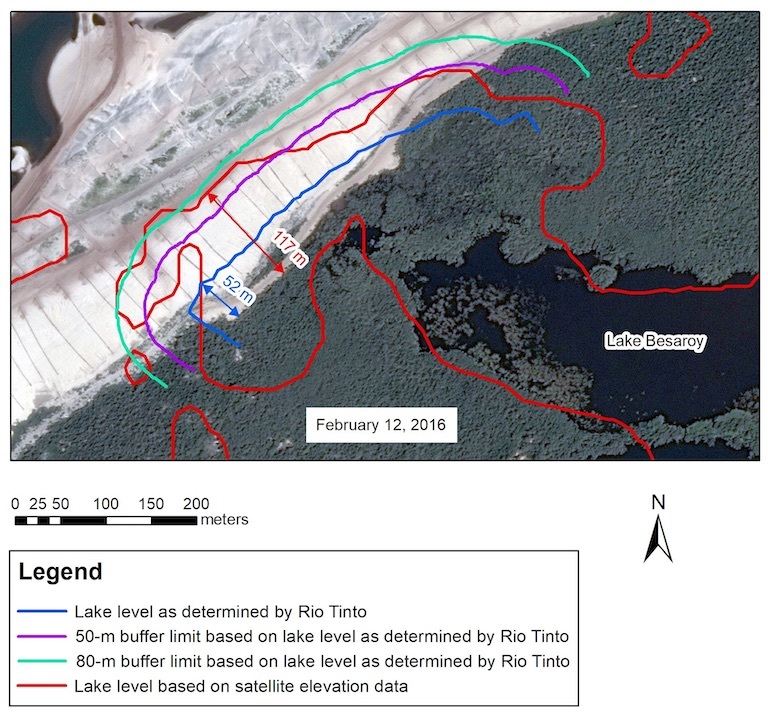 However, two recent studies show that Rio Tinto’s mining activities encroached not only all the way through the buffer zone but onto the lake bed itself. 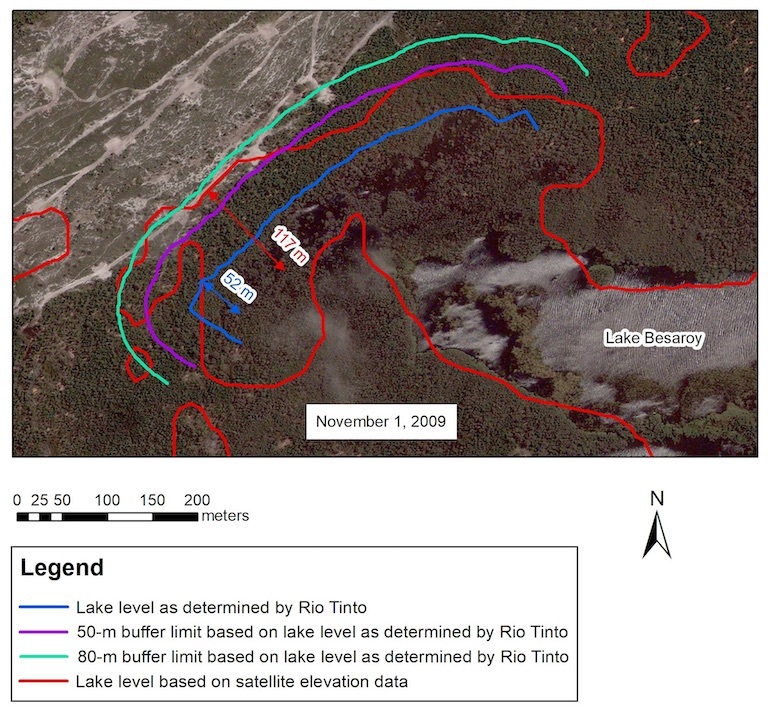 In one, Utah-based geophysicist Steven Emerman, using data from NASA, found that Rio Tinto’s activities had encroached 117 meters (384 feet) into the lake. In the other, Ozius Spatial, an Australian consultancy, found that the company had encroached 52 meters (171 feet) into the lake. To do so, the consultancy used aerial lidar data provided by Rio Tinto, which the mining company has declined to release publicly or share with Emerman or the Andrew Lees Trust, which commissioned Emerman’s work. The key disagreement between the two studies is about where the lake bed begins, not about the extent of mining activities. Images courtesy of Steven Emerman.